Since the late ‘90s, wine sales in the U.S. have steadily increased. And according to research by the Wine Institute, the U.S. has been the highest consumer of wine in the world since 2014. There are nearly 10,000 wineries in the U.S. Between 2006 and 2016, wine production jumped by nearly 25%, with 2016 production totaling over 800 million gallons. The annual consumption of wine per American adult is 2.94 gallons — an increase of more than 20% since 2005. But the sector of the wine industry with the largest growth is direct-to-consumer sales (D2C). Whether you compare it to grocery stores, convenience stores, or independent wine shops, winery D2C shipping continues to be the leading retail channel. According to the 2018 Direct-to-Consumer Wine Shipping Report, there are two primary reasons for this growth. The first is that not only are new states entering the world of legal wine shipping, but they’re also thriving right out of the gate. For example, Pennsylvania received its first direct shipping permits in August 2016. And in terms of shipment volume, it is now among the top 10 states in the U.S. The second reason is the growing ecommerce market. In 2017, online sales of beer, liquor, and wine increased by more than ⅓ year-over-year (YoY). Wine was the most popular kind of alcohol, accounting for 65% of those sales. Taking a look at ecommerce in general, Forrester reports that 17% of all retail sales will be conducted online in less than five years. In this guide, we’ll focus on the latter factor — the increase of online wine sales — and how ecommerce merchants can take advantage of this expansion. Thanks to apps like Uber Eats, Postmates, and Instacart, today’s consumers can have nearly any food or drink delivered directly to their door. But what consistently remains missing from the list of these available products is alcohol. Now, considering the regulations they have to contend with, it’s understandable for the average wine retailer to be slower to adopt D2C sales. However, this isn’t to say that only a handful of wine sellers are embracing ecommerce. In fact, it’s quite the opposite. Last year, the volume of DtC wine shipments totaled 5.78 million, representing a 15.3% YoY increase. And the value of these shipments came in at an all-time high of $2.69 billion in 2017. Clearly, there are plenty of brands who recognize the potential of wine ecommerce and have begun taking advantage of this selling channel. One of the major benefits of selling online is the ability to reach a much broader audience. Not only that, wine ecommerce can also help companies increase the loyalty of their existing customers. Traditional advertising — for example, TV commercials, print ads, and on-site events — substantially limit the number of wine drinkers you can market to. For the most part, the only people you can reach are local consumers. But digital marketing allows wine sellers to connect with potential customers all over the world. Plus, ecommerce software enables wine merchants to capture data about wine consumers that they can use to create hyper-targeted, customized emails and ads across multiple online channels. And personalized marketing is much more likely to attract new customers than generic content. Just as personalized marketing can bring in new customers, it can also encourage past customers to buy from you again. Customer relationship management software, when integrated with an ecommerce platform, gives you the power to get a complete profile of every customer. 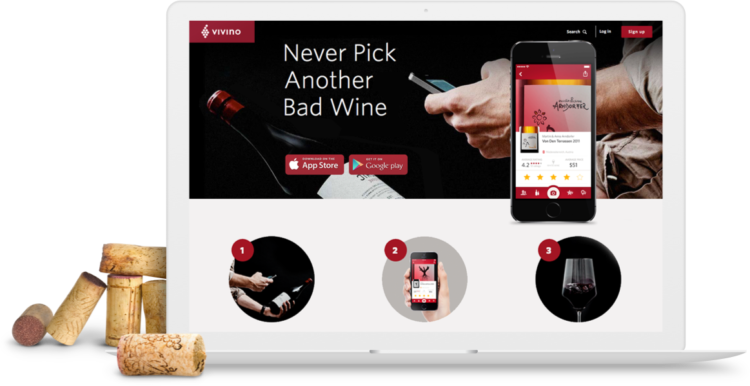 And with this profile, you can offer product recommendations and exclusive discounts based on the specific bottles of wine that each customer has previously purchased. These marketing strategies simply aren’t possible for brick-and-mortar wine retailers. The required documentation to sell wine from an online store depends on the state in which you operate as well as the states to which you ship. Alcohol Dealer Registration. This form is used to record your business and tax information, dealer class, and subclass and must be filed and approved by the Alcohol and Tobacco Tax and Trade Bureau (TTB) prior to initiating online sales. A winery license from your state. A retailer’s license from your state. IMPORTANT: Just because you can sell locally doesn’t necessarily mean you can sell online. A shipper’s license for each state to which you plan on shipping. This proves you are a licensed and authorized alcohol seller. Direct shipping agreements with all of your carriers. In the next section, we’ll take a more thorough look at what it takes to legally sell wine online. Which States Allow You to Buy and Sell Wine Online? Navigating each state’s specific laws can be challenging. Every state has its own rules and regulations regarding the shipment of wine, and some are more strict than others. For example, in some states, only wineries are allowed to offer D2C shipping. But in other states, retailers can engage in DtC shipping, as well. Additionally, some states have limits on the quantity of alcohol that can be shipped. To help make it easier, we put together the chart below which specifies which states allow or prohibit winery direct shipping and retailer direct shipping. It also lists volume limitations as well as any special rules about D2C shipping. Can I Sell Wine Internationally? Expanding your online sales to include the global wine market can be a great way to grow your business and increase your revenue flow. While you may know the package restrictions for your domestic shipments, when it comes to shipping overseas, weight and size limits will often vary by the destination. And just as every state in the U.S. has its own restrictions, so does every country. Therefore, you need to make sure you understand the exact shipping requirements for each country you want to ship to. Your international shipments will go through multiple processing centers as well as travel in several different types of vehicles. This means you need to be extra careful about how you package your cross-border shipments in order to reduce the risk of damage. 3. Become familiar with customs documentation. Certificate of Origin and/or Age. It’s the responsibility of the seller to confirm which of the above certificates are required for the country to which they want to import wine. Selling wine internationally definitely represents a great opportunity for established businesses. But it’s important to know for sure whether or not the investment will justify the return. What Shipping Carriers Can I Use To Ship Wine? Unfortunately, not every carrier will ship alcohol, and others have a few requirements you must meet. For example, you cannot ship alcohol via USPS, but you can ship wine, beer, and liquor using UPS and FedEx. Interestingly enough, the reason you can’t use USPS to ship alcohol is due to a 1909 law that is still in effect. Sign an alcohol transportation contract (For FedEx, this is called a “FedEx Alcohol Shipping Agreement”, and for UPS it’s called a “UPS Agreement for Approved Wine Shippers”). Create your shipping label using the carrier’s electronic shipping solution or an approved third-party platform. Abide by the packaging requirements for wine. Choose the adult signature service option (I.e. An adult must be present to sign for the package). Affix an alcohol shipping label. You can visit the UPS and FedEx websites to learn more about each carrier’s shipping requirements. Engaging in wine ecommerce can offer a lot of benefits for sellers. But in order to reap those benefits, you need to convince customers to buy from you. Allow customers to return online orders to your brick-and-mortar wine store. Provide free or flat-rate shipping — whichever makes the most sense for your wine business. Send loyal customers exclusive coupons and invites for early access to special online sales. Email customers personalized recommendations for related products based on their past purchases. Connect with customers on your social media accounts and ask for their feedback about products, sales, and your brand in general. Encourage customers to place an online order for wine they’d previously bought at the store or tried in your tasting room by offering them a discount. Create educational content about wine — for example, a how-to guide that helps novice wine drinkers choose between red wine and white wine or a blog a wine enthusiast can use to find similar wines they might like. A quick note: the two things that tie all of these strategies together are data and research. Collecting data about your audience and researching their specific wants and needs will help you make confident decisions about how to best attract and retain customers. When it comes to ecommerce, your homepage is your digital welcome mat. And for higher-end merchandise like wine, first impressions are especially important. Because the culture and tradition of wine drinking has a unique influence on the decisions of wine buyers. And wine drinkers have particular expectations about the merchants with whom they shop. The first time a shopper visits your website, they don’t necessarily have to be blown away (although that would certainly be beneficial). But they shouldn’t be completely unimpressed, either. And they absolutely cannot be disappointed or irritated by an unaesthetic design or non-user-friendly navigation. Your wine ecommerce website should tell the story of your brand and invite customers to become part of your community. The design of your site should demonstrate your commitment to providing an exceptional shopping experience for every shopper — from wine novices to wine connoisseurs to non-wine drinkers shopping for a gift. There should be no barriers between the customer and what they’re looking for. For a little inspiration, here are three wine ecommerce websites built with the customer experience in mind. 1. Crown Wine & Spirits. Originally a small corner liquor store in Fort Lauderdale, Florida, Crown Wine & Spirits has been selling alcoholic beverages for over 60 years. Rather than jumping straight into a pitch, the header image on Crown Wine & Spirits’ website promotes the company’s wine tasting events. This shows they’re interested in connecting with their audience, not just pushing for a sales transaction. Both the navigation menu and the homepage tiles are segmented by the most popular product categories. First-time visitors and returning customers can locate their desired item(s) quickly, without having to wander around the site. Vancouver-based Marquis Wine Cellars offers a wide selection of both inexpensive and premium wines. Its website is bright, colorful, and inviting. And its customer service number is featured prominently at the top of the page. The number is also click-to-call, so visitors to the mobile site can get in touch with just a tap. And although a relatively new addition to the site, Marquis’ blog features personal anecdotes from founder John Clerides, helping to give the site an even friendlier feel. Estate Wine Brokers shares the same hometown as both BigCommerce and ShipStation — Austin, Texas. Its mission is to help wine enthusiasts navigate the secondary market for wine and support them as they collect, sell, and trade fine and rare wines. Estate Wine Brokers’ website offers visitors several different helpful resources, including guides about investing in wine as well as collecting wine. Its blog also has information about the wineries that produced the wine it sells and interesting facts and statistics about its extensive wine collection. Can I sell wine on eBay? Yes, but only if you’re an eBay-approved wine seller. In order to become a licensed wine seller on eBay, you must first upload a copy of your alcohol license. You must also abide by all requirements listed on eBay’s guidelines for selling wine. Can I sell wine on Amazon? As of December 31, 2017, Amazon no longer allows wine sales on the Amazon marketplace. Is it legal to sell wine online? Yes, as long as you abide by the laws in the state from which you’re shipping as well as the state(s) to which you’re shipping. Every state has its own laws about selling wine online, including which certifications and licenses it requires as well as the maximum volume that can be shipped. Note: just because you can sell locally does not mean you can sell online. Can I sell alcohol online in Canada? Yes, but only in certain provinces. Similar to the policies for selling wine online in the U.S., every Canadian province has specific laws regarding which types of businesses can sell directly to consumers as well as the maximum volume that can be shipped. It is your responsibility to ensure you abide by all regulations imposed by the province from which you’re shipping as well as the province to which you’re shipping. WineLaw.ca is a regularly-updated source on selling wine in Canada. Yes, you can dropship wine. However, before dropshipping, make sure you are licensed to sell wine. Otherwise this is illegal. Can I sell other types of alcohol online? Every state has its own laws about selling alcohol online, including which certifications and licenses it requires as well as which types of alcohol can be sold and the maximum volume that can be shipped. What’s the best way to start a wine ecommerce website? If you’re starting from scratch, your first step is to identify your target audience. Then, like any ecommerce business, you’ll need to determine which types of merchandise you’ll sell. From there, you need to connect with a wholesaler. Once you’ve built your website, select an online shopping cart and payment processing provider. Next, decide how you’ll distribute your products and if it makes sense to invest in an online shipping software. If you already have a brick-and-mortar location, then you only need to worry about building a user-friendly site, setting up an online shopping cart and payment system, and developing an efficient shipping process. Selling wine online can be a lucrative endeavor. But your wine ecommerce ventures can only be successful if you know how to proceed sensibly, cost-effectively, and (most importantly) legally. There is no one-size-fits-all option for selling wine online. Because every part of the process is awash with variables. Not to mention the fact alcohol is one of the most highly regulated goods on the planet. But that doesn’t mean you can’t break into the wine ecommerce game. You just need to perform thorough research and take advantage of the advice in this guide. Then you’ll be able to confidently navigate the (somewhat) complex world of wine ecommerce.